Linda Mitchell brings history to life with her collection of Depression-era notes that give a glimpse into the everyday lives of ordinary Americans. She discusses marketing for her niche genre and offers numerous suggestions for getting your work out there. 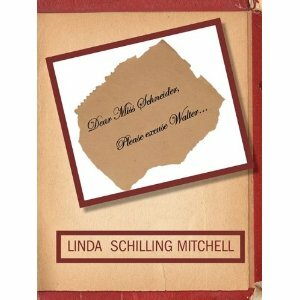 “Dear Miss Schneider, Please Excuse Walter…” takes you on a journey using a variety of notes, written during the Great Depression years of 1937-1940, as stepping stones. It was during those years in Newport, KY, that third grade teacher Miss Schneider began collecting the written excuses the mothers of her students sent in as to why their children were absent from school. These humble, heartfelt and often humorous notes, which give us a glimpse into the lives of these families, have been cloistered in a scrapbook for over 70 years. Enjoy, as well, the history of Miss Schneider’s life, as pages of photos and memorabilia guide you through the years. It was a lifetime ago. Their story has been waiting to be told. My book started out as a personal project to preserve the aged and deteriorating notes in my mother’s scrapbook. I wanted to create a keepsake for my children and grandchildren. But as it evolved, I knew that it was becoming something that others would enjoy. So the “project” actually motivated me to become an indie writer. No. This is my first experience publishing. I felt my book had a specific and perhaps a limited niche. And because it was about my family I wanted to have complete control of it. The process of producing my book was frustrating at times. I even thought of throwing in the towel on numerous occasions. Because my book is primarily photographs, there were layout issues that my particular publisher faced for the first time, which delayed the process. Once they were worked through and the final product was received, it was all worthwhile. I am very pleased with their prompt delivery of reorders and the consistent quality of the books. Because my book is based in the northern Kentucky area and has a historical and community connection, I have concentrated my marketing efforts there. I have approached and have had articles about my book in the Cincinnati Enquirer, Campbell County Connects paper and several historical society newsletters. I’ve contacted the Kentucky Explorer and Northern Kentucky History magazines and they are doing articles also. I also contacted a local independent bookstore which now carries my book at the Newport Levee complex in Newport, KY. These efforts have proven most successful. Because my book features my mother’s life as a teacher, I also strive to market the book to teachers and educational professionals. I network with several “teacher” groups online. I have the book in a local antiques/book emporium shop also. It might not sell a great deal of books itself, but it is a good marketing tool to be able to say that your book is in an actual store. I am a contributing writer for The Pineapple Post newspaper. I get my name out there every issue and I am allowed to put at the end of each article that I am the author of “Dear Miss Schneider, Please Excuse Walter…” along with my website. I can’t afford to buy that kind of advertising in every issue! I created a video book trailer too. This is an additional medium to promote the book. Goes beyond a written description. And Facebook is another valuable marketing aide. But I’m selective on who I add. Also a Facebook page about the book. LinkedIn is another networking tool. It connects me to other authors so I can learn from their experience and also to groups that might enjoy my book. And to you! I attend fairs and local community events where they allow local authors to display and sell their books. I don’t blog or use Twitter. I know many authors do but that’s just not a route I want to take at this time. Also e-books, not at this time. Otherwise I am open to any marketing ideas. That when they say you do it all…they really mean it! I was under the impression that there would be some advice or assistance along the way. There is, but the price is substantially higher than I was able to go. Didn’t realize that at first. Perhaps make my book a little larger. The spine of my book isn’t thick enough to hold the title, author name and publishing company which exempts me from ever getting into larger book stores like Barnes & Noble. Start before the book is done. Sell the sizzle! Follow up on every call, email or letter. Be persistent without pestering. Do everything you can think of. Throw it out there. Law of averages means some of it will stick. Don’t be shy! My book has only been out since April 2011 so it is my priority. I still write my newspaper articles twice a month which keeps the creative juices flowing. My video trailer is here. Linda Schilling Mitchell or Dear Miss Schneider on Facebook. Or contact me at lmitchell4261@yahoo.com.